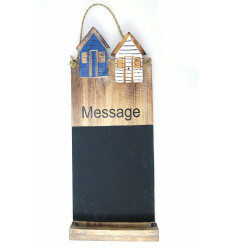 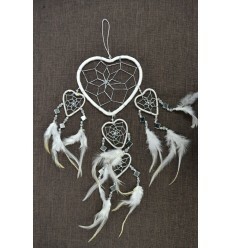 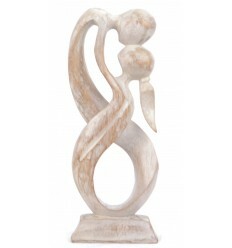 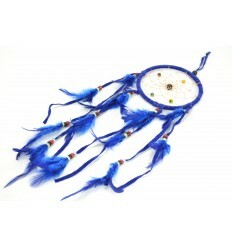 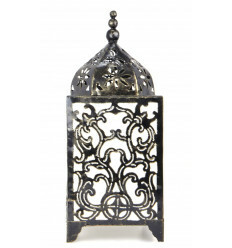 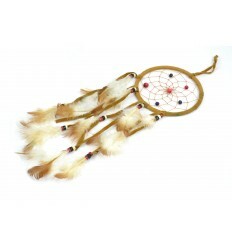 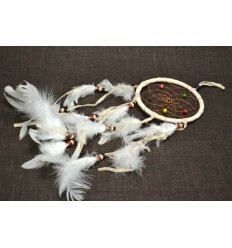 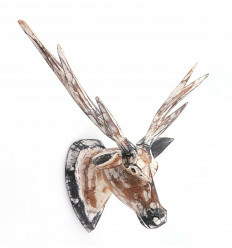 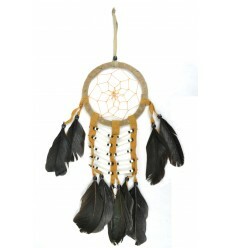 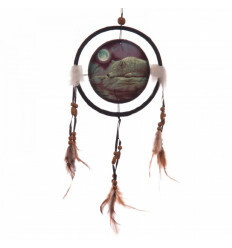 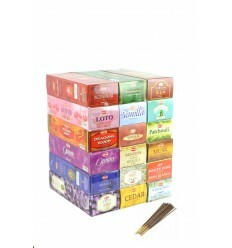 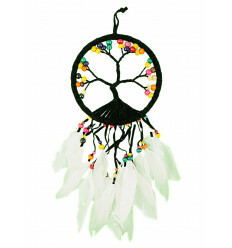 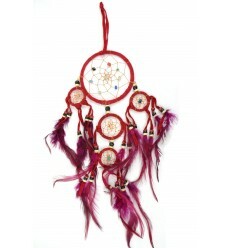 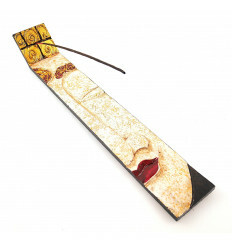 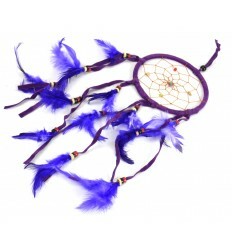 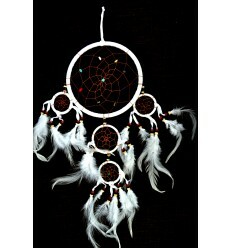 Buy dreamcatcher catcher dream indian white, original and not expensive. 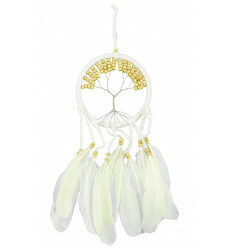 Giant dream catcher indian or Dreamcatcher (in English) velvet white, entirely hand-made. 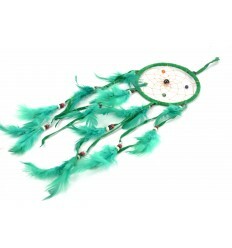 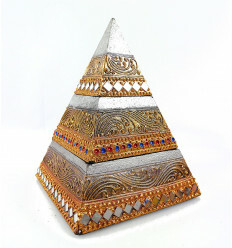 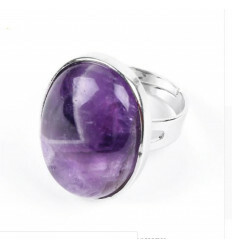 This model of average size is made up of 5 rings in which the dreams captured are symbolized by small beads of semi-precious stones (quartz, turquoise, moonstone, amethyst...). 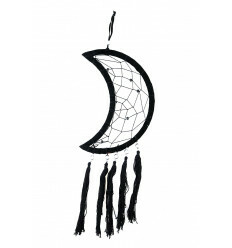 Originally, we suspended a catch dream in the cradle of new-born babies to protect them from nightmares. 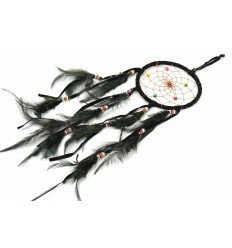 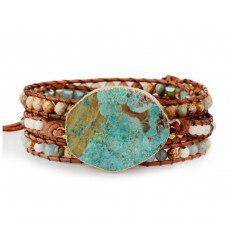 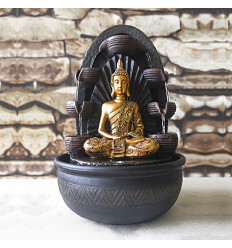 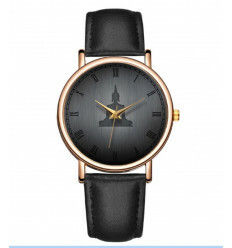 For the small one clung to the circle of eagle feathers, which symbolize courage and strength, while small, were designed by the feathers of owl or owl, symbol of wisdom.